It’s easy to get stuck in the habit of overspending. Quick trips to the grocery store without a list become common. You drive your car out of convenience to places that you could walk or bike to. And that phone call to customer service to negotiate a better cell phone rate never gets made. Unfortunately, getting out of this rut can be very difficult, as many common methods of saving money don’t appear to make a big enough difference to motivate change. That line of thinking, however, is wrong. If you have the willpower to buckle down and slash your expenses, it’s very possible to see some real results in your bottom line each month. While opting for just one of these money-saving tasks might save you a few bucks, combining a number of them can result in huge savings. Take stock of your personal budget and lifestyle, and you might be surprised by the many unexpected ways you can cut costs and save money. Set aside a few hours one day and christen that period your “new rate” time. Get out your recent bills and customer service numbers for each utility, and start making calls. If you live in a regulated state (meaning energy costs are awarded to one or two particular providers), your electric and gas bills won’t budge. If you live in a deregulated state, there’s more competition for utilities and, therefore, room to negotiate or seek a new provider. Make the call to your providers and explain that you need a lower rate – or otherwise, you’re going to seek a different provider. This works much better if you’re currently outside of a contract term. For example, I usually wait until my cell phone contract has expired, and I’m much more likely to get the best rate. Even when your electronics are in the “off” position, they still leech electricity, which costs extra each month. 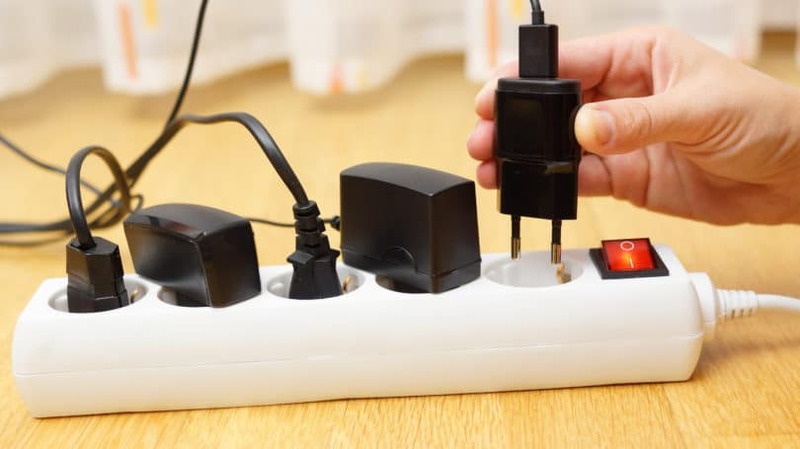 Invest in an energy saving power strip for your TV, computer, and other equipment, to automatically cut off power when not in use. Winter months mean high heating bills, especially if your home is less than efficient. Before it gets cold, winterize your home. Check for gaps around doors and windows, and seal them with foam to keep the heat in your home and prevent sky-high bills. Purchasing and installing a programmable thermostat can be an excellent investment, as it allows you to efficiently control the temperature in different seasons, at different times of the day. For example, during winter, you can lower the heat at night, increase the temperature in the morning, and allow the house to become cooler throughout the day. By only using heat or air conditioning when you’re actually at home, rather than wasting it throughout the day and night, you can save greatly on energy costs. Try rethinking what the word “utility” really means to you. It should be reserved for things you truly require in order to live. Can you cut your home phone and use cellphones instead? Can you get rid of your expensive cable package in favor of cheaper Internet-based TV services, such as Netflix, Hulu, or Amazon Prime? Once you do some research, you may find more money-saving opportunities than you previously thought existed. I only just got a Costco membership this year. I figured that for just four people, buying in bulk didn’t make sense. Well, when it came to stuff my family consumes on a near-daily basis, like chicken breasts, cheese, milk, and our favorite treat, popcorn, my Costco membership paid for itself in short order. For example, I used to pay about $3 for a box of six packets of microwave popcorn. I can now get 44 packets for $11 when buying in bulk. However, I tend to stay away from perishables – while they might technically be a better deal per pound, if I end up throwing away half of them, my savings go in the trash too. Figure out what your family eats a lot of and compare prices at a bulk store to see if more food translates to less money. When I don’t plan meals properly, I end up visiting the grocery store multiple times during the week, which is a complete spending trap. Without a set shopping plan, you’re likely to grab more impulse items and spend more on groceries overall. Cut down on midweek trips by creating a meal plan and shopping directly from it. I have a busy schedule and don’t coupon very often, but price matching is quick and easy at the majority of big box and national retailers. As long as your store price matches ads, you can just bring along the ads from competitors and show them to the cashier during checkout. I actually find that this cuts down on my shopping time, because I don’t have to go from store to store to get the best deals. I also love Walmart’s Savings Catcher app – when you shop at Walmart, simply scan your receipt into the app and it automatically price-matches anything to other retailer offers. If there is a better price out there, you’re refunded the difference on an e-card. Meat is very expensive, so it pays to have a few days per week when you make like a vegetarian. This can mean anything from vegetarian chili, to beans and rice, to a pasta-based meal. By nixing meat just a couple of days per week, you could conserve around $10 on your weekly shopping trip, resulting in a savings of $40 per month. With two active kids, a large portion of my monthly budget is dedicated to team sports, extracurricular activities, Friday night events, and educational field trips. There’s no need to get rid of all your favorite family activities, but thinking outside the box might help reduce their costs. If your city has a recreational department, your children can participate in lower-cost activities and sports as opposed to private leagues. For example, in my area, private dance lessons cost about $50 per month – but choosing a city-run program is only $30 per month. While private teams can be expensive, city leagues are often subsidized and run by volunteers to keep costs low and increase enrollment. It’s a great way to keep your kids involved without the high price of private activities. Just remember that there may be some trade-off – private leagues, teams, and activities may have more experienced instructors. My family loves going to the movies, but a night out for all of us usually runs about $50 to $60 when factoring in tickets and snacks. That’s why I love our local second-run theater. It shows older movies – usually between their initial theatrical release and their DVD release. For $3 a ticket, it’s a steal. Check your community for other reduced-cost activities, such as free museum days, two-for-one admission at the zoo, and so on. That way, you can cut back on cost without sacrificing any of the fun. From Netflix to Hulu, there’s really no reason to rent expensive movies or get slammed with late fees from a box service. A night in can be just as fun as a night out – just queue up a movie or TV series, prep some snacks, and switch off the lights. Whether you want to try a hot new restaurant or sign up for a painting class, group deal websites can often give you the experience on the cheap. The venue essentially releases a block of tickets, a gift card, or admission to a daily deal site like Groupon or LivingSocial which then releases the discount to the public. As long as you purchase responsibly, group websites can be a great way to have fun without spending a ton. Always check the fine print though. Blackout dates, expiration dates, rules on transferring vouchers, and other stipulations should always be completely understood before you hit the “purchase” button. Believe it or not, changing your car insurance is pretty painless. Compare price quotes online and see if you can save some money. In my case, my monthly premium dropped by $20 – and a yearly savings of $240 is worth the 15 minutes of shopping. 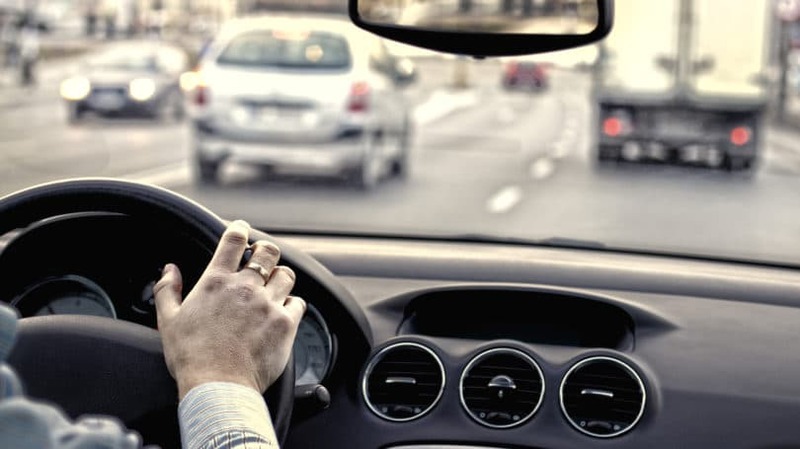 While it may seem like no big deal to run out to the grocery store and stop by the bank at different times, those separate trips can make a big difference in your gas mileage. When you run errands, make sure you consolidate your excursions so you’re not driving back home each time you leave a retailer or appointment. As an added bonus, you’re putting fewer miles on your car too. If you can walk or ride a bicycle to a destination, do it. Not only does it save on gas, it’s a super-healthy way to stay in shape. If you’re not sure how to save money on gas, try the GasBuddy app. It checks your location, tells you how much gas costs near you, and helps you save a few bucks each time you fill up. Also, remember that it’s perfectly fine to use the lowest octane unleaded option – unless your mechanic or car manual specifies otherwise. 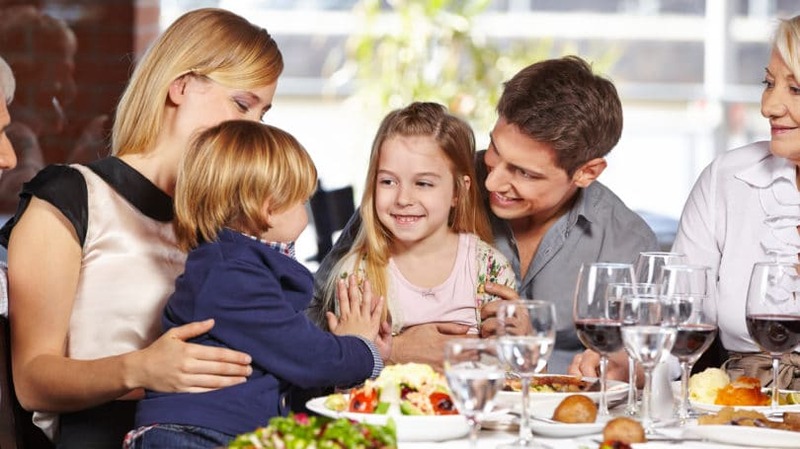 According to data collected by The Atlantic, middle-class American families spend over $2,100 per year eating out. If you’re planning on heading to a restaurant today, check out these money-saving tips beforehand – maybe you can even score a free meal. Many restaurants offer lower-priced lunch menus, so you can enjoy the experience of eating out without forking over the dough for a higher-cost meal. One of my favorite restaurants costs around $24 per plate at dinner. The same restaurant offers a less-expensive lunch menu for $12 per plate. When you tally up the savings for a family of four, I’d much rather keep the $48 than get the expanded dinner menu. Drinks have as much as a 40% markup, so consider opting for water instead. A mid-grade bottle of wine costs a restaurant about $19 per bottle, but it’s sold for about $30 – a nearly 37% markup. It’s savvier to have a nightcap when you get home and skip the pricey beverage out altogether. If you miss the ritual of ordering drinks at a restaurant, go for something cheaper, like sparkling water and lemon. When looking for new restaurants, a discount for children’s meals is important to me – I don’t want to pay full price for smaller portions that my picky kids may or may not eat. Many restaurants offer a slew of discounts and coupons, from early bird specials to seniors, students, and even frequent diners. Ask about possible discounts or visit the restaurant’s website ahead of time to see what you could save. Clothing eats up a huge portion of your budget if you’re not careful. Even if you love to shop, carefully checking for the best deals, avoiding impulse buys, and operating within a budget can all add up to good savings in the long-run. 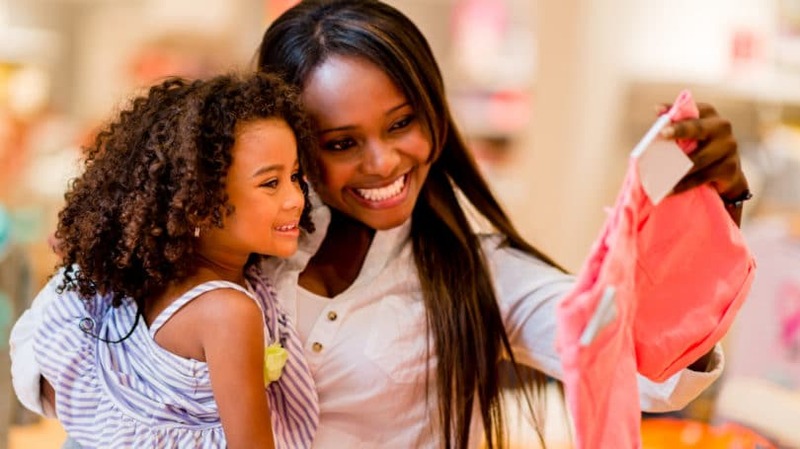 Don’t shop without some of these money-saving tips in mind. If you’re an online shopper, you should be aware of the existence of “commission cookies.” They’re tracking tags installed into your browser that essentially tell the retailer how you found its site or product, and then pay a commission back to the referral point. These cookies are common on blogs, so if you follow a link from your favorite shoe blog to a pair of killer boots, you’re giving that blogger a commission. By using a cash-back program like Ebates, you override the cookies with your own referral link, so you get the commission instead. It’s a simple way to get some cash from your online purchases – just log into your account, shop from the Ebates site as the access point, and reap the rewards. 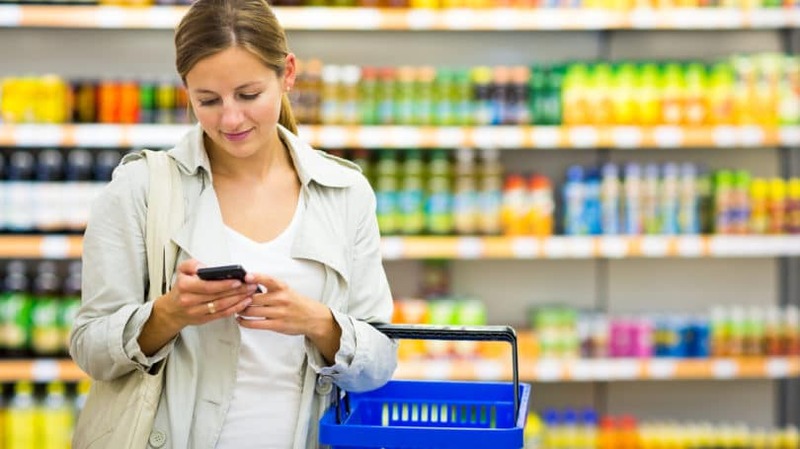 Never shop for clothes without first checking couponing apps like SnipSnap and RetailMeNot. When waiting in line to checkout, I run a quick search from the app to see if the retailer is offering any current in-store deals. The coupon is scanned right from my phone and it’s a great way to save money, even on unplanned shopping trips and purchases. If you have to purchase something outside of your usual wardrobe, swap with a friend who’s a similar size instead of purchasing a garment that’s just going to hang in your closet. You can reduce your need to go shopping and in turn conserve that precious clothing budget for items with a high cost per wear. You may even want to host a clothing-swap party. What’s the point in buying a tux if you only plan to wear it once? Whether you’re talking about a suit or a dress for a special event like a wedding or prom, clothing rental websites like Rent the Runway can help you dress the part without wasting cash on clothes you’re only going to wear once. A $700 designer gown, for instance, costs as little as $70 for a three-day rental with free shipping both ways. Clearance racks are like shopper heaven to someone on a tight budget. However, if you find that they yield limited sizes, check the retailer’s online clearance instead. In-store clearance inventory is limited to what’s on-hand and in storage for that location, but going online means pulling from a number of different storehouses and locations. You can get better deals and more sizes by checking the retailer website before you attempt to buy in-store. In a single day of phone calls and number tweaking, my husband and I painlessly shaved around $200 from our monthly budget by negotiating bills, getting rid of services we didn’t need, and looking for lower-cost alternatives to the products and activities we use most. Pruning your budget on a regular basis means saving more and spending less, so why not start today? See how much you can save on your budget in just a few hours – you might be surprised, and become a little addicted to the thrill of the save. What are your quick fix tips for saving money?